The project »Digitising Patterns of Power«(hereafter DPP) is funded within the programme »Digital Humanities: Langzeitprojekte zum kulturellen Erbe«of the Austrian Academy of Sciences for a period of four years (2015-2018). It is hosted at the Institute for Medieval Research (IMAFO) of the same Academy and unites as a cluster project various experts from the fields of medieval history, Byzantine studies, historical geography, archaeology, geography, cartography, geographical information science (GISc) and software engineering. The present article elaborates on the authors’ case study, »The Historical Region of Macedonia (12th-14th centuries): The Transformation of a Medieval Landscape«within DPP. 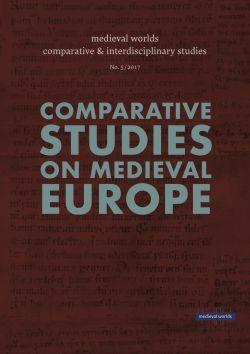 It focuses, on the one hand, on the macro-level of political concepts in the Southern Balkan Peninsula from the 12th to the 14th centuries (especially from the expansion of the Serbian medieval kingdom to the South under King Stefan Uroš II Milutin until the death of Tsar Stefan Uroš IV Dušan, i.e. from 1282 until 1355), and, on the other hand, on the micro-level on the border zones and cross-border societies between the medieval Serbian kingdom and the Byzantine Empire in Byzantine Macedonia in the same period. The initial point of research is formed by the medieval written sources, i.e. Serbian and Byzantine charters as the main corpus, as well as other selected written sources from the medieval Serbian kingdom. The sources are analysed from the viewpoint of the aforesaid research questions and strongly based on methods derived from Historical Geography (especially on those of the long-term project Tabula Imperii Byzantini (TIB) of the Austrian Academy of Sciences). Special attention is given to the analysis of formulations with regard to the Serbian expansion within the area of research; the acquisition of new territories and their administrative incorporation on the macro-level; and to the localisation of conquered settlements with related settlement typologies, as well as to the change of local elites (prosopography) and their interaction with local nomads (i.e. Vlachs) on a micro-level. Finally, digital tools for storing data, mapping and visualisation, which have been developed by DPP, are presented.